There is comfort in conformity. It may seem that peer pressure is something that we outgrow once we reach adulthood. But, even as grownups we continue to be influenced by people we associate and identify with. As motorcycle riders, peer pressure can affect our behavior and influence our attitude toward risk. This can be very beneficial, or it can be detrimental, depending on the attitude and values of the group you ride or identify with. I’ve seen otherwise really smart people do really stupid things on a bike because they do not think for themselves, and instead conform with the norms of the group. On the other hand, I’ve also seen reckless rookies become really smart and skilled riders through association with riders who value skill development and risk management. Group mentality drives behavior, both good and bad. Peer pressure and positive comparisons are one of the most effective ways to change behavior. A smoker who wants to quit is more successful if he or she doesn’t hang out with other smokers. The same goes for alcoholics. A motorcycle rider who wants to increase the chances of surviving is smart to identify with riders who value risk management. This doesn’t mean riding without taking risks, but it does mean carefully considering the consequences of how you ride (and the protection you wear). Associating with risk-conscious riders is one on the best ways to manage risk. The attitude of a group does not have to be overt. It can be sensed by how they act. For instance, riding with a group that values excellent control skill will challenge the others in the group to ride better. Good judgement is another skill that thoughtful riding groups value. By associating with these riders, your knowledge and skills will improve. Is your choice of protective gear driven by your level of risk acceptance or someone else’s? Protective gear is often dictated by style. This means that one rider will choose to wear a high-viz Aerostitch suit and full faced helmet, while another rider will choose a beanie helmet and black leather vest depending on the type of bike and riding he or she identifies with. Style will inevitably influence riding gear choices, but should style really be the deciding factor in protection? I’m reminded of a woman in a beginner motorcycle class I was teaching about ten years ago. We had just finished the segment on the importance of protective gear. This woman came up to me during the break looking upset. She preceded to tell me that what she had just learned scared her. It turns out her husband did not wear good protective gear and that she was sure she would be pressured into wearing a beanie helmet, jeans and t-shirt. I’m not a therapist specializing in marital problems, but I did offer her a strategy that I thought may have helped her with an obviously overbearing biker husband. I suggested that she tell him that what she learned made her realize the importance of a good helmet and that she insist on wearing a helmet that helped reduce the risk of injury. I figured he couldn’t argue with that. If you choose to ride in groups, ride with people who respect the risks. The type of riding gear people choose is influenced by identity. But, even more concerning is how peer pressure and group identity can lead to some really ugly outcomes. This is often caused by group behavior that values “fun” at the expense of basic safety. I’m the first to admit that riding fast is fun. But, I resist the pressure to ride fast on the street. Squidly sport bike riders who race and stunt on the street are highly represented in death statistics. When it comes to the “biker” crowd, alcohol is a deadly combination that has been around for decades. Even though statistics suggest that there is less going on, drinking and riding it are still prevalent. 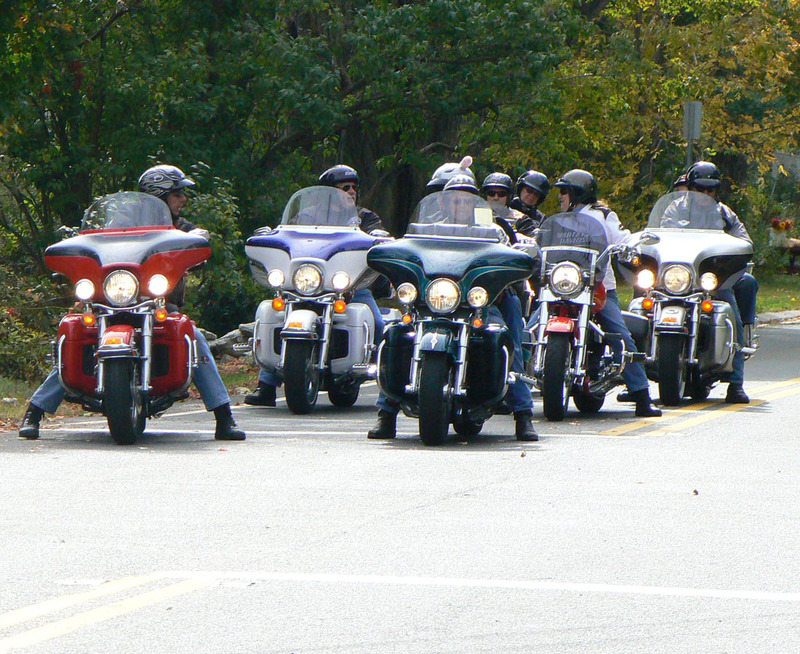 Pack mentality is tough to resist when you’re riding in a group. The most common result for sport riders is a steady increase in speed during group rides. For the cruiser riders, it seems to be an increase in raucous behavior. Even when you ride alone, you are influenced by peers. Riding solo is one way to “ride your own ride”. But, the fact is that group identity influences your behavior even if you strictly ride solo. For example, the type of bike you ride will likely define your choice of riding gear. Look around and you will be hard-pressed to find many cruiser riders wearing a full-faced helmet. You’ll also find it tough to spot a racerboy sportbike rider sporting a high-viz vest. Yes, these are stereotypes, but am I wrong? Sure, there are those people who challenge norms by combining different styles of riding gear and bikes, but they are the exception. It doesn’t matter if you ride alone. You are part of a larger group whether you like it or not. 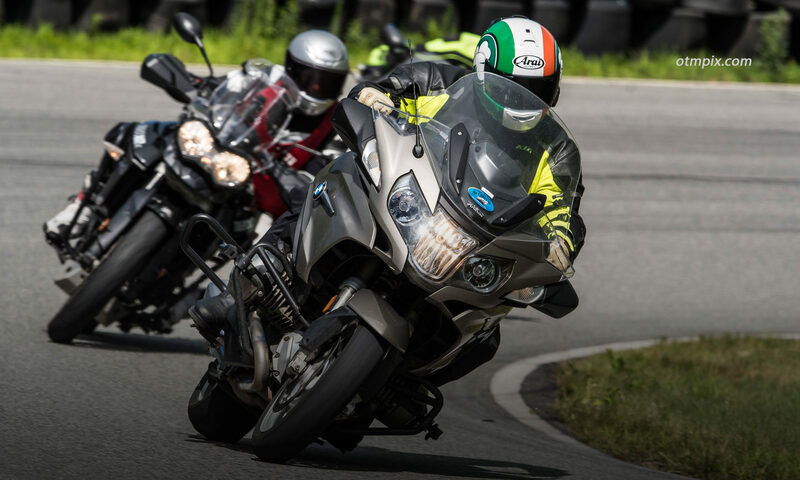 Your choice of riding style is an identification with the biker crowd, the touring crowd, the sportbike crowd, adventure crowd, or some other group. Accept it, but be sure you make decisions that are in line with your beliefs, not the beliefs of others. I challenge you to look at your personal values and make choices based on your level of risk acceptance and go against the perceived norms of your riding genre if they don’t match.